The first song on the first album by the iconic heavy metal group Led Zeppelin was "Good Times Bad Times," a tune infused with Jimmy Page's surging guitar riffs and a taste of Robert Plant's signature caterwauls. The lyrics weren't exactly poetic, but they were terse and to the point: "Good times, bad times, you know I had my share." Community bankers who were around for the last recession can no doubt identify with the "bad times" sentiment. Indeed, the cover of that album, an image of the Hindenburg airship bursting into flames, is a fitting icon of what the banking industry felt like then. Things have certainly swung to the more favorable side of the Zeppelin song since then, but challenges remain. Consider remarks made in February by FDIC Chair Gruenberg. He ticked off positive signs for the industry, but also sprinkled in a few potential warning notes. He indicated that "fourth quarter results for the banking industry were positive, and for community banks in particular" which is good and then indicated "insured institutions are in much better position today to handle uncertain conditions than they were in the past." Now that Q1 2016 earnings are right around the corner, we look back to see what has improved since those dire days and what we can expect now. According to the FDIC report, just about everything has gotten better. After all, revenue and income are up, asset quality has improved, loan balances have increased and fewer banks are on the problem list. Further, more than 67% of banks reported higher net operating revenue in 2015 vs. 2014. Community banks in particular stand out, performing better than big banks on several key metrics (including net operating revenue, which grew by a solid 7.4% in 2015 vs. 2014). As for potential problem areas, one is a rise in credit risk as a result of loans tied to energy and agriculture. Another is in earnings, as the extended low interest rate environment could squeeze banks. Yet another is spillover weakness from global economic conditions and volatile financial markets, which Gruenberg said "underline the fact that banks confront considerable uncertainty going forward." It is, of course, the duty of regulators across the system to point out the dark clouds they see lurking behind every silver-lined one. However, perhaps the key takeaway from these and other comments from senior regulators is that things have generally improved in the industry since the crisis, so it is all about maintaining the direction. After all, capital levels are at the highest in decades, so the system is sturdy and ready for almost anything the world may throw at it. Whether banks can continue to move in a positive direction, or will get swept up in credit or other issues down the road remains to be seen, but we are cautiously optimistic. Much depends on how well bankers control risk going forward, and those we know are actively measuring, monitoring and controlling what they can. The key for all bankers will be to remain vigilant as risks appear and issues surface. Or, as Gruenberg points out "banks must remain vigilant as they manage interest rate risk, credit risk, and evolving market conditions," because "These challenges will continue to be a focus of ongoing supervisory attention." 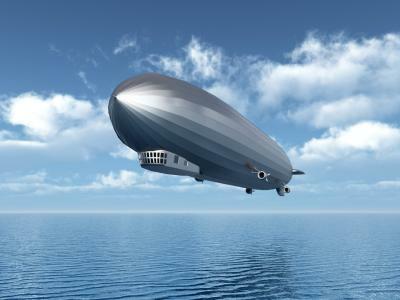 Whether you are a fan of Led Zeppelin or not, stay alert and flexible to keep your bank airship floating forward over calm seas. Yields dropped 4bp after data on consumer confidence and US industrial production came in weak. Fed Chicago President Evans said market expectations for rate hikes are more pessimistic than the Fed's and that the Fed expects 2 more rate hikes by year-end. The SEC is warning financial technology companies that are valued at over $1B to provide more information to investors and to act more like public companies. The SEC warned firms to have proper valuations. A survey of family businesses by Kreischer Miller finds the key issues that most commonly affect family businesses are: clarity on the succession plan for running the business (24%), senior generation having enough to retire (23%), clarity on the ownership transition of the business (19%), next generation having the talent to run the business (17%), disputes among family members (12%) and clarity on pay and ownership among family members (5%). A survey on risk practices by Bank Director finds among the areas flagged as the biggest risk management challenges are: preparing for cyberattacks (55%), keeping up with regulatory expectations of risk management practices (53%), maintaining the technology and data infrastructure to support risk decision making (44%), fully implementing enterprise risk management (37%) and creating a culture that supports bank wide risk communication and assessment (29%). A PwC survey of global CEOs finds the top ways leaders are changing their talent strategy to have the greatest impact on attracting, retaining and engaging people needed to remain relevant and competitive are: focus on our pipeline of future leaders (49%), workplace culture and behaviors (41%), effective performance management (38%), pay, incentives and benefits provided to the workforce (33%), and focus on skills and adaptability in our people (30%). Research by the EBRI on retirement finds 13% of workers in 2016 delayed their expected retirement age vs. 22% in 2013.